A man doesn’t have time to be cold, and he doesn’t have time to thumb through a wardrobe of dozens of jackets just to find the right one for the job. So if you’re a man of function rather than collection you’ve probably been searching for a jacket that has the capability to take you from a warm, sunny Fall afternoon in Oregon to a mid-winters blizzard in Denali, Alaska. This may not be an easy task, but if you’re open to jumping on the high side of wearable tech, functional style, and price – one of these three could be the jacket for you. Extreme temperatures may involve the need for extreme materials, but ‘extreme’ doesn’t have to mean bulky or puffy. The Condor Triclimate by North Face is a perfect combination of a 2L “Dryvent” shell and wind-resistant “Windwall” fleece lining. 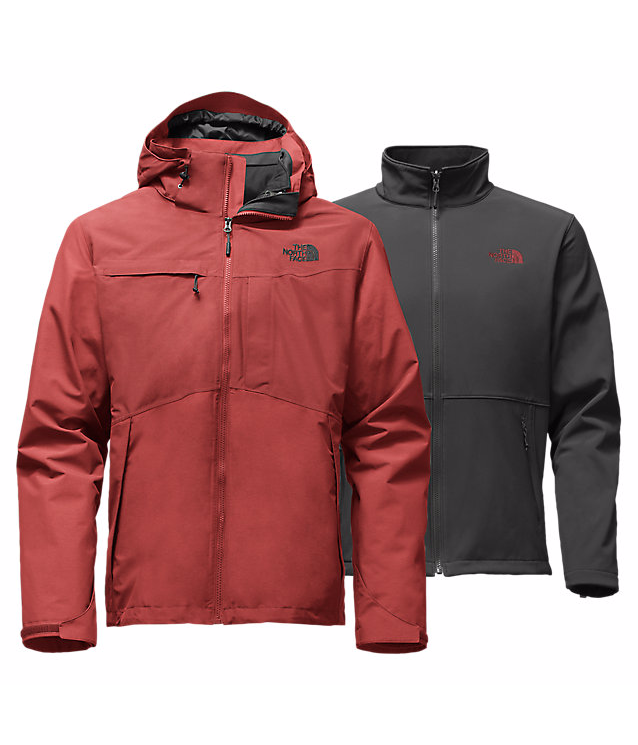 We normally prefer to build our own year-round jackets using the common practice of layering, but North Face has really done all the work for you with this Condor. Even if you find that you’d like to tweak it a bit to your personal preference, you can integrate other compatible zip-in liners making it easy to customize, while also keeping its original ‘all-in-one’ format. And we also have to mention that North Face is just a really great company to work with and these jackets come with a solid Lifetime Warranty, which says a lot. 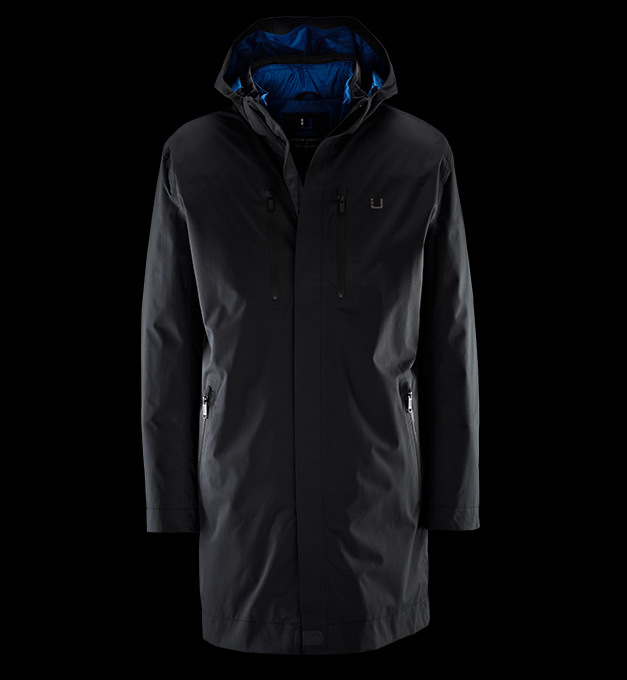 Ober doesn’t call the “Black Storm” the most versatile travel jacket just because the name makes it sound good enough to be true. Uber has gone through a lot of trouble to create a an all-in-one jacket that can take a man anywhere, and it does all this with only half the fiber and fabric you’d expect. This jacket can tear down (removable 100-gram insulation) to be appropriate for a rainy Fall afternoon or be built back up to arm yourself for a -20 degree Celcius winter evening. The Black Storm is as rain tight as a frog thanks to its innovative outer membrane and welded reinforcements, yet it is also as breathable and cooling as a cotton t-shirt. This combination helps to regulate your body temp as you travel throughout the day, and everything important to your survival is either snapped, zipped, or fastened together with hidden magnets, so no matter what you plan on using it for, it will keep you covered. 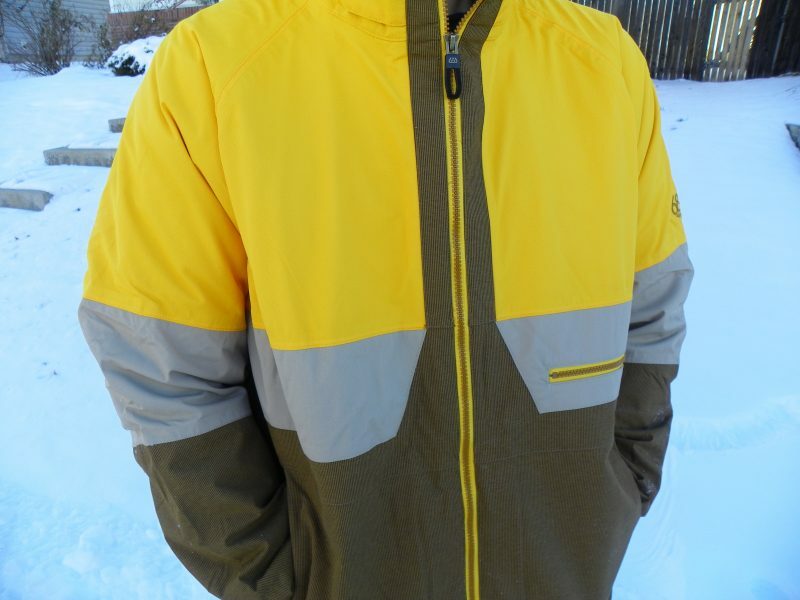 After using this 686 Smarty Jacket for an entire Winter/Spring in Colorado, we can confidently say that this is one of the most versatile coats we’ve ever used. These jackets use a 2-layer GORE-TEX shell, face mask with breathable “Vader Vents,” and are generously cut to give you free range of motion while offering a very thin and light presence. This jacket can be as warm as you need it to be (down to -21 degree Celcius) and it will cool down quick using a combination of its mesh underarm vents and removable (60-gram Primaloft Polyfill) Smarty liner. 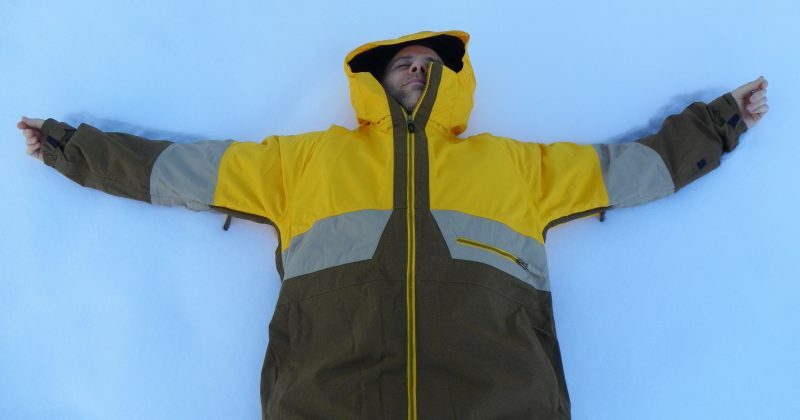 And when you have a big jacket like this you don’t want to be weighed down by any additional baggage, so the Smarty also comes with a variety of storage for your essentials, including a mesh goggle pocket, smart phone pocket with cord pass-through, sleeve pass pocket, and of course a couple of roomy hand pockets. The Smarty jacket we sampled last year has been updated to become their “3-in-1 weapon jacket” – but no worries because they are just as awesome.